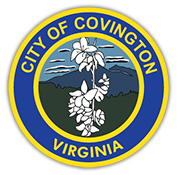 The city participates in a joint recycling program with Alleghany County to help reduce the quantity of commercial and household wastes. Most of the recyclable materials from households are deposited in recycling bins located at Jackson River Enterprises, AET Center located on Edgemont Drive in Covington. JRE sorts the materials and prepares them for final processing.